Aloha everyone! kel from Scraps & photoGRAFFS here again today!! I made some super quick and easy 3"x3" gift cards to have on hand because I never seem to have enough!! Which is a funny thing to say aloud, considering how many cards I've made over this past year!!! 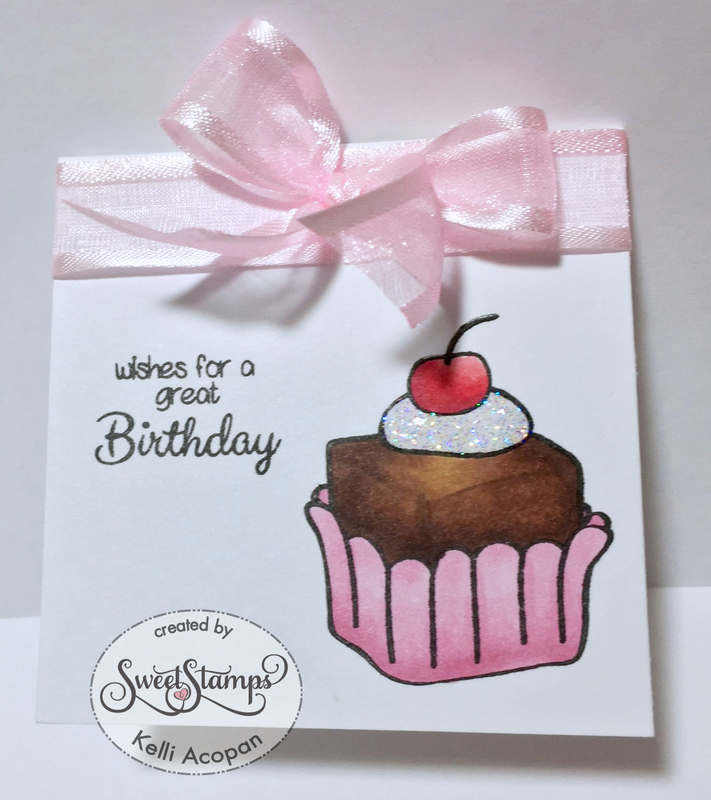 I used the dessert sweets and one of the sentiments from the Kitty Sweets Clear Stamps Set to make my cards. I couldn't decide at first if I wanted to make them all the same color or different... but it was so quick to whip these cuties up that I figure I can easily make more when the need arises! After coloring them up with my Copics, I added some glitter to their frosting (because glitter frosting makes everything better!) 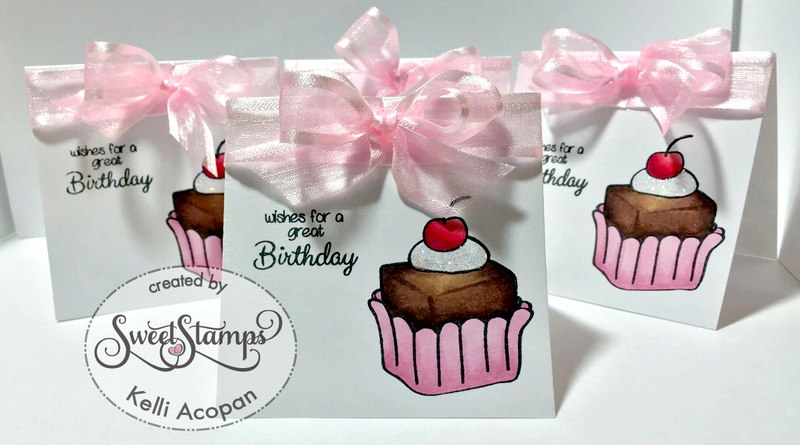 and then added some ribbon to the tops of the card. Super cute little birthday cards!! Super cute, these are so pretty, love the glittered frosting! Fantastic card design! I love the yummy treat! your bow is beautiful! Great job! Love these little gift cards they are so Sweet. 'Tis the Season | Mr. & Mrs. Snow!